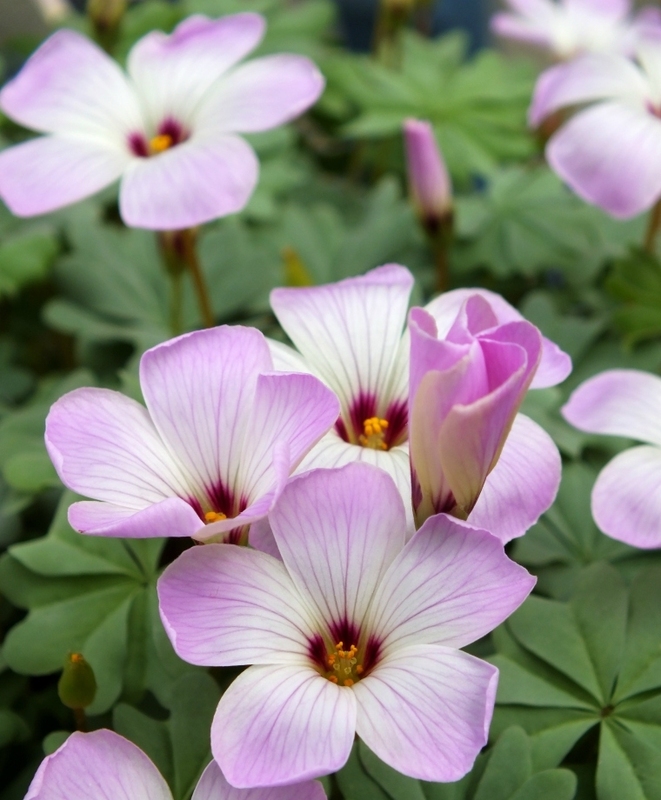 Commonly referred to as Wood Sorrel, Oxalis adenophylla has dainty, five-petaled, white to lilac-pink flowers with dark purple centers on wiry stems above attractive, clover-like foliage with a silvery sheen. Circa 1905, this long-lasting, deer- and rodent-resistant naturalizer is a May/June seasonal ground cover that grows in 8" to 10” thickening mounds. 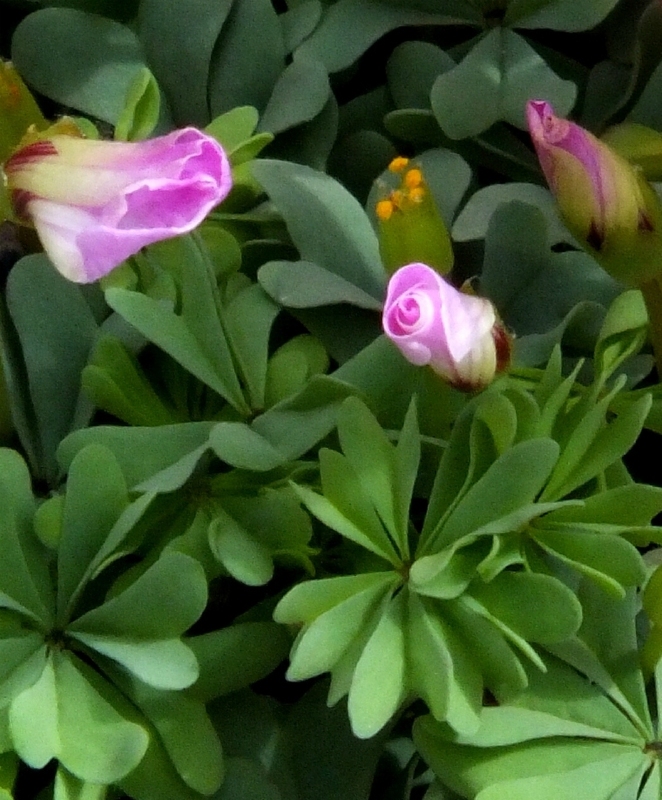 Its flower buds are interestingly twisted shut. 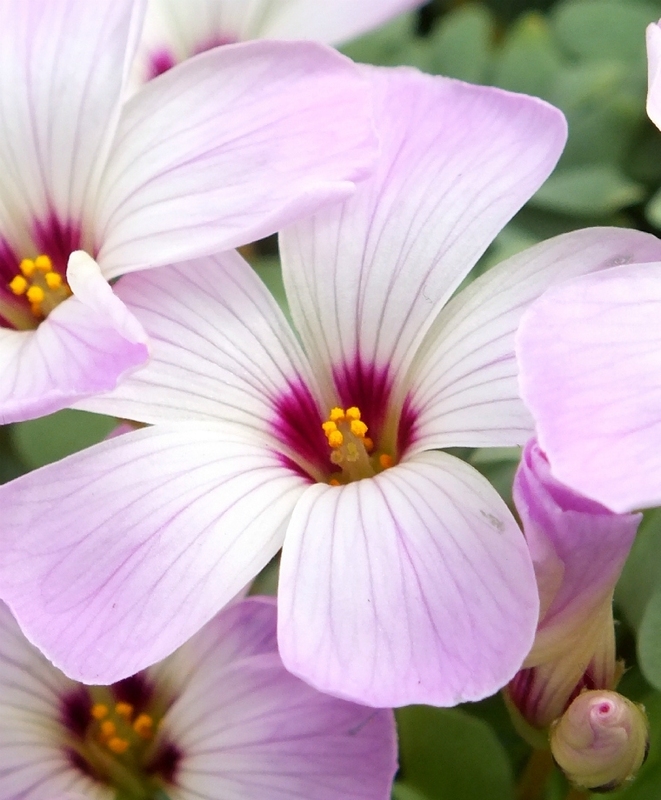 Once fully flowered, they open and close on sunny days. 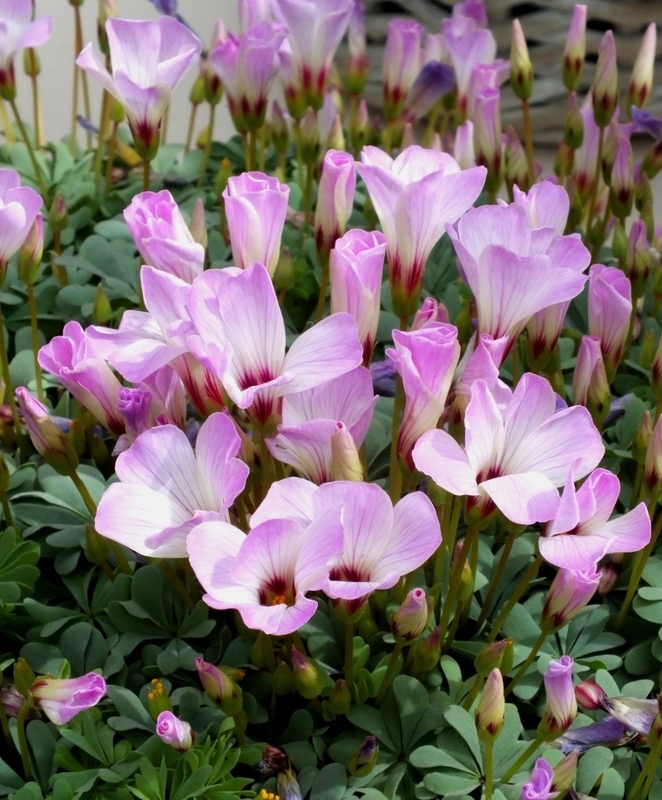 Native to the Chilean and Argentinian Andes Mountains, Oxalis adenophylla prefers full sunlight and well-draining soil. 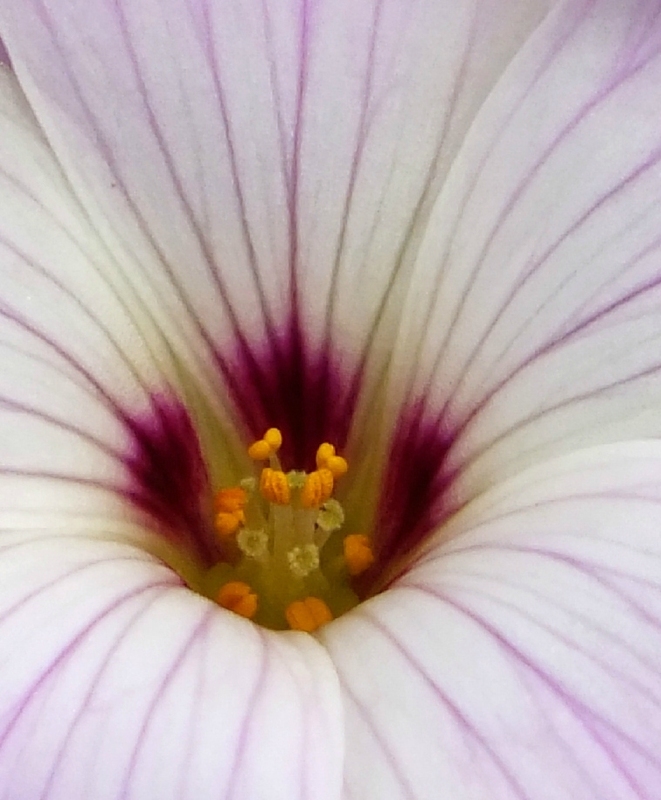 The bulbs are actually whiskery corms. 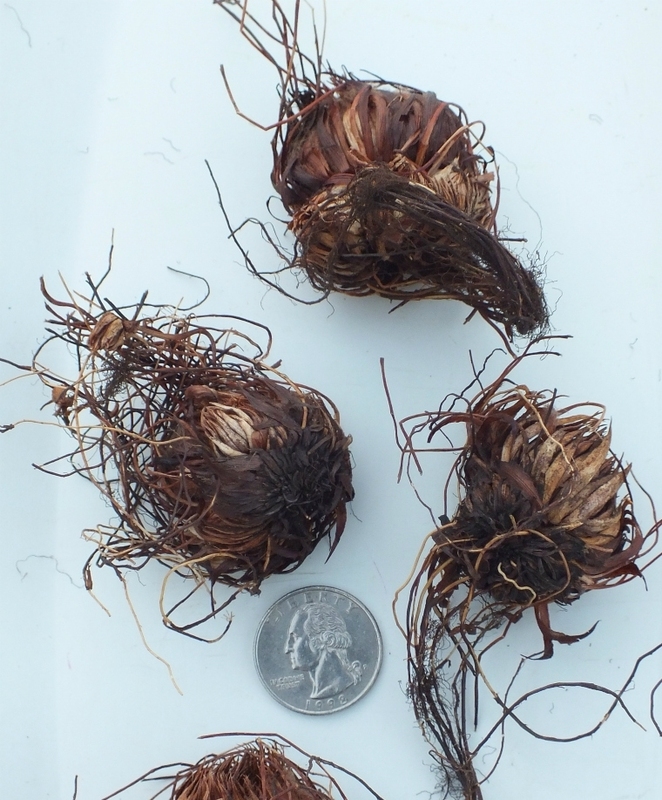 As it matures over time, when it’s happy where it’s planted, it may naturalize by corm offsets (called cormels: baby corms on the sides of the mother corm you’ve planted). 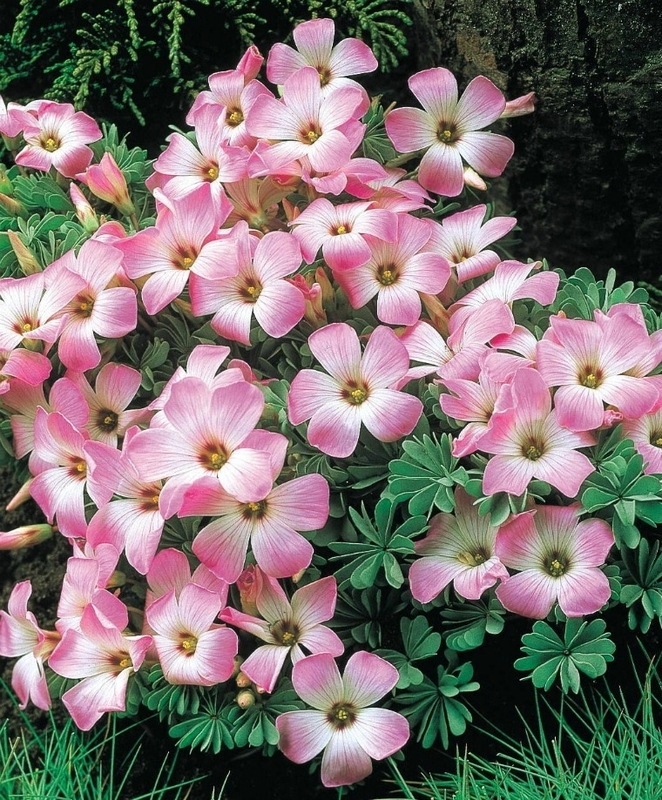 Unlike the other Oxalis varieties, it rarely propagates by self-sowing seed and is not considered to be invasive. It’s terrific in garden border plantings and sunny woodland borders. You’ll need about nine corms per square foot. (Square footage is determined multiplying the planting site’s length times its width.) Top size whiskery corms. Full to partial sunlight. 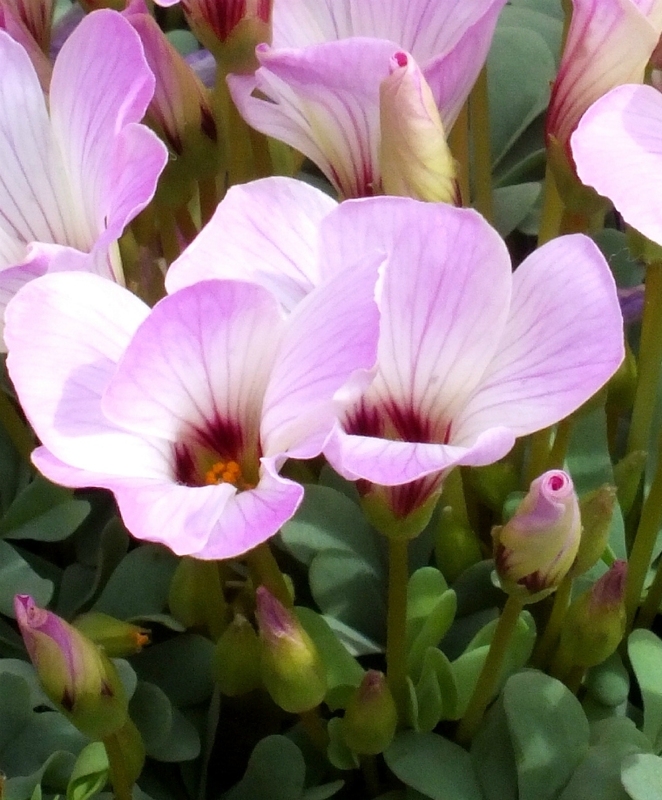 Bloom time in horticultural zone 5: May/June. Plant 4" deep and 4" apart. HZ: 4-9. Height: 2" to 4". Oxalises are The Art & Soul of Spring.